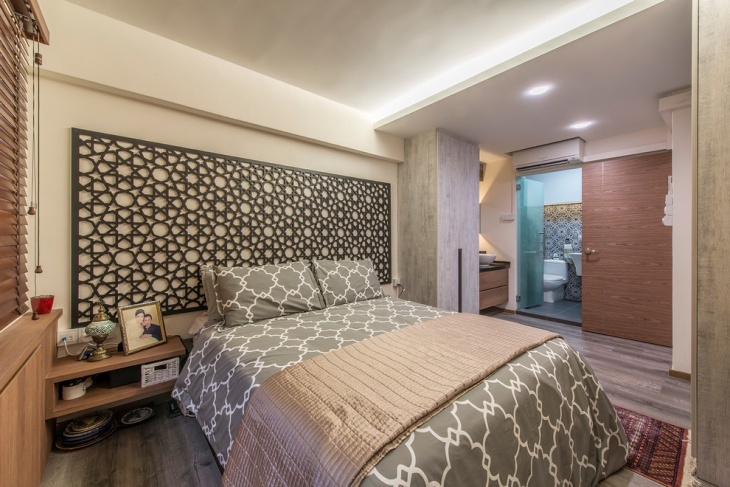 Looking forward to designing an exotic bedroom in your new home? Moroccan bedrooms are considered among the most elegant setting for bedroom designing and is getting popular across the world today. 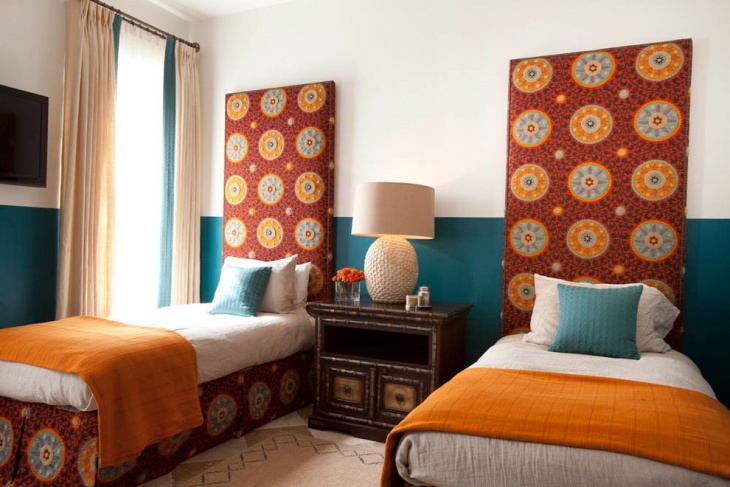 Regardless of the amount of space, Moroccan bedrooms use sufficient amount of lighting, colors and textures to create a vibrant yet cozy ambiance. We have collected some of the most used Moroccan bedroom designs from across the globe to bring you an inspiring compilation. Moroccan love art and intricacy! Consequently, they can convert simple furnishing into a lavish piece of installations. 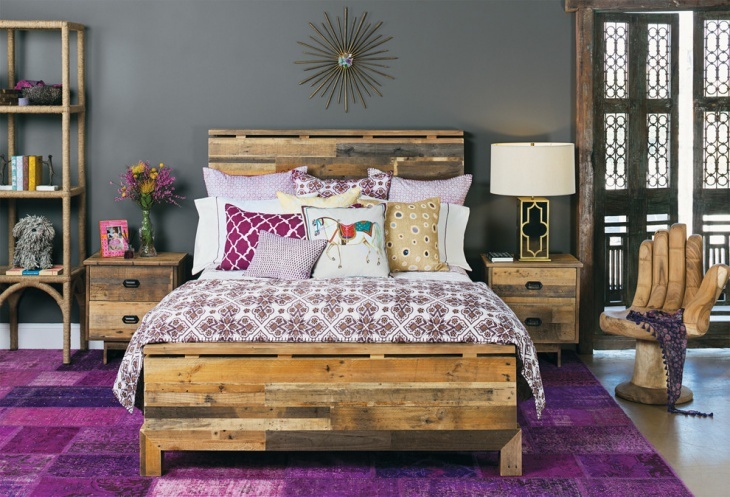 Moroccan beds, similarly, showcase a high level of carpentry combined with the love for colors, the bedroom is translated into a canvas worth buying. The use of rustic lighting, bedside drawers and flower stands rightly compliment the attitude of the room. While the Moroccan artwork still stands true, it is on a scale that you would consider average. This is a perfect setup for a simple yet gorgeous guest bedroom. 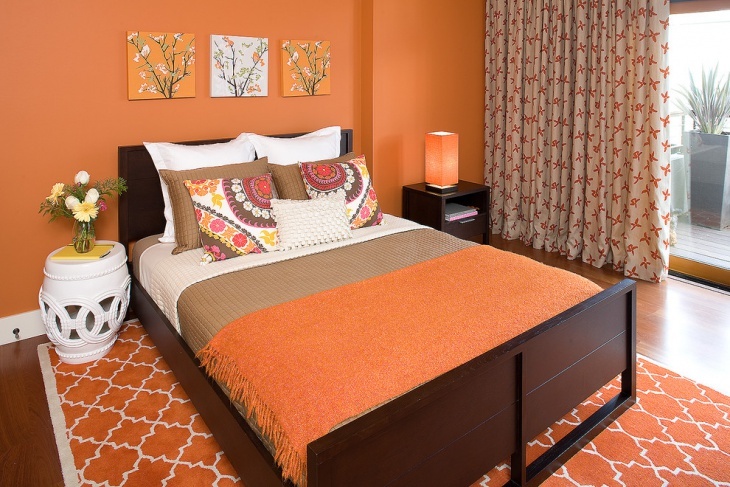 Complimented by bright colored cushions, bed sheets, and curtains, any guest would be enchanted by the welcome. 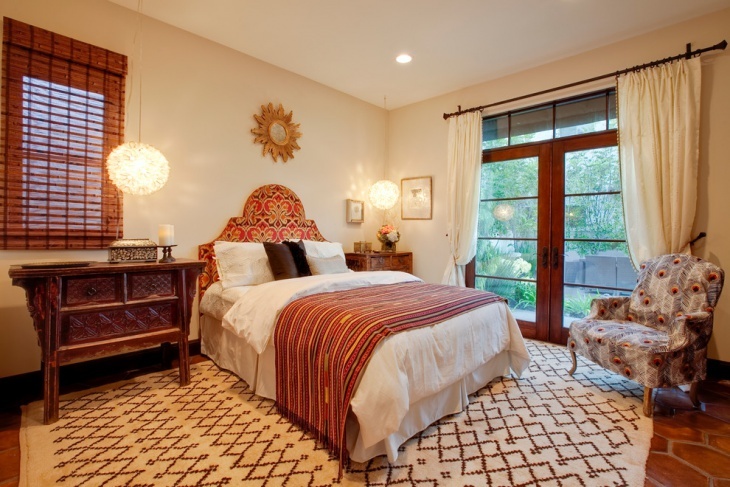 Highly stylish and evenly themed, this Moroccan bedroom inspires spirited living. Everything from the carpet to the light balls creates a warm and homely ambiance that any person would love to get back to. There’s not much to be done but the secret lies in the tidy arrangement. A cute little bedroom, this Moroccan décor strikes a perfect balance between old world charm and modern design elements. Using adequate lighting in this room gives a bright and lively feeling. This can also be done with a small room to make it look bigger and fuller. Sticking with the intricate design element, a Mediterranean style bedroom uses an enormous bed, a big cabinetry and with the proper use of lighting, makes the small room look cozier. The bed becomes the center point of the space and suits any small family. 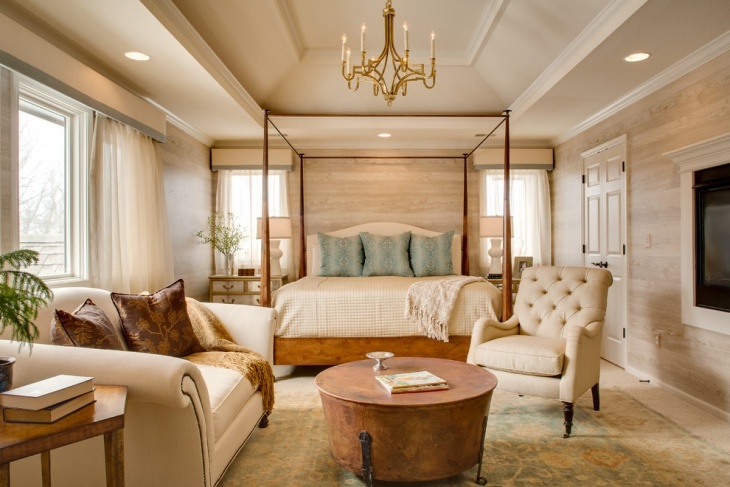 An enormous room is marked by an expansive vintage bed and a bright sofa to complete the space. The use of curtains, bed stands, and desks in conjunction with the vintage theme look gorgeous and could be your way of life. Being the master bedroom, this space has all the right elements to take things to a grand level. 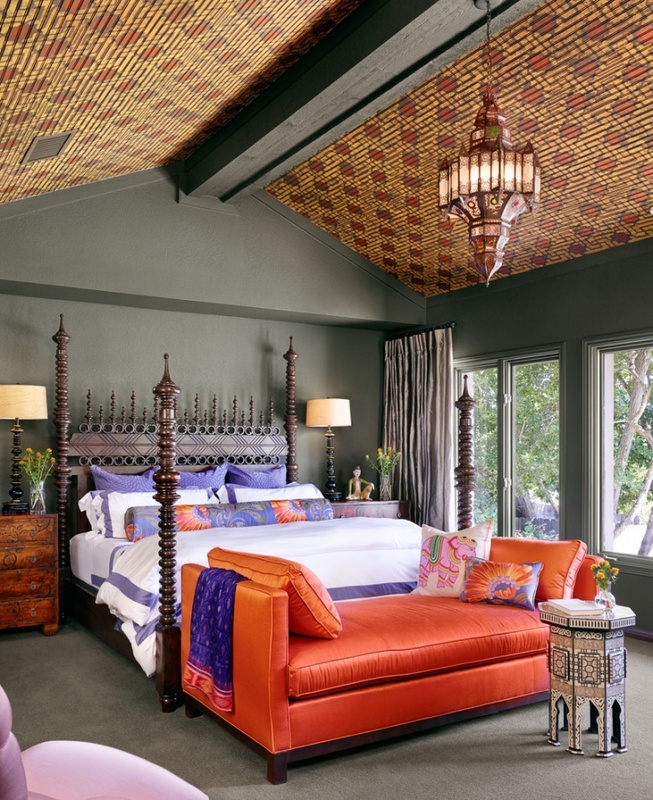 A big Moroccan bed with a foot addition, an intricate bedside drawer and a lavish chair makes this pretty royal. The dark brown themed bedroom has been rightly contrasted with plush white bedding and cushions, easily making it the focal point of the space. Now, this would be an example if you are looking to make things more colorful and bright than the previous themes. 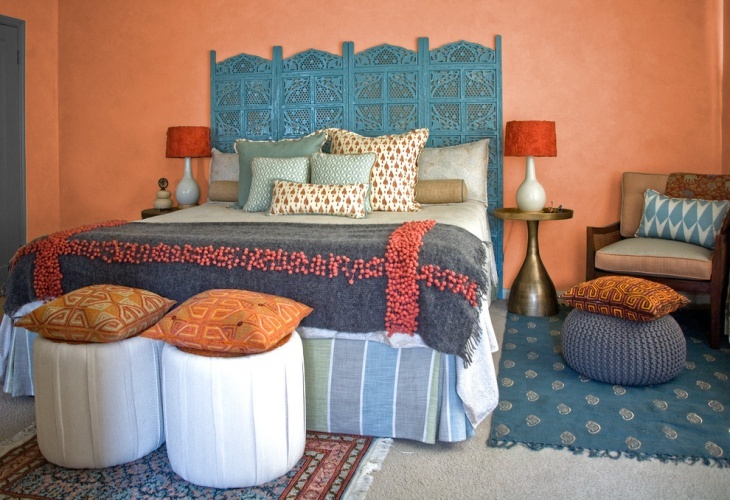 An elegant but rather rustic Moroccan bed is rightly complimented and contrasted by colorful cushions and bedding. 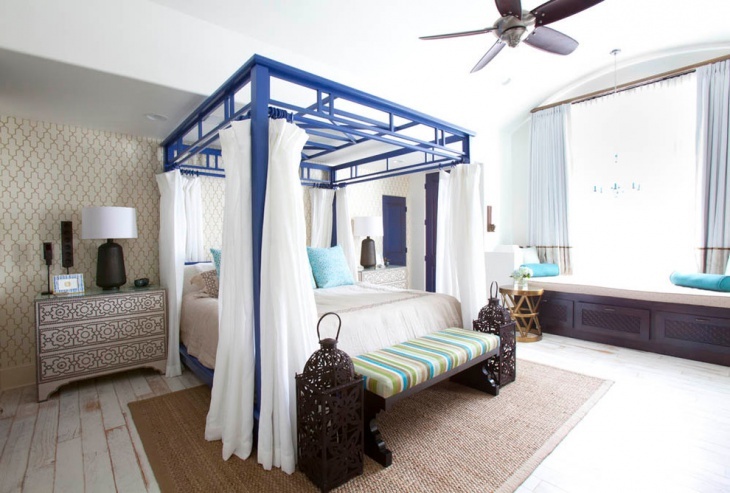 The focal point of this room is the huge Moroccan bed with side poles, making the area look exotic. A chandelier on top makes thing more enchanting and you can advantageously use ambient lighting to turn this into a warm, cozy and romantic space. 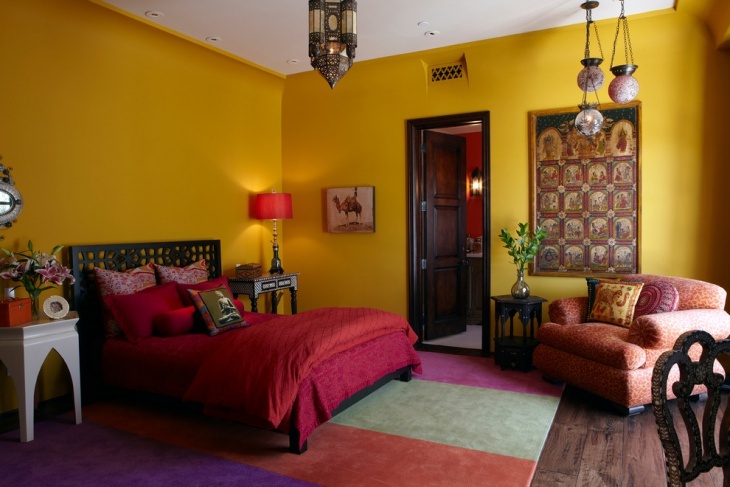 Featuring exotic textiles, this Moroccan bed is rightly complimented with a bright ambiance, especially the color of the wall. Lamps, plush cushions, and comfy chairs complete the decor. Moroccan bedrooms are considered the most exotic of spaces. However, the good news is that they can be integrated into any kind of space. If you have any other ideas, do share with us.